Howdy! Back in December of ‘95 Babs and I made our Eastward Ho!—L.A. to Lawn Guyland—just in time for ‘the winter of 17 blizzards’. The good citizens of our happy hamlet laid out a white carpet for us—snow! We didn’t’ see our lawn til April. Folks ask do I miss L.A.? Durn Tootin’—the L.A. of yore. I grew up in Atwater Village ‘twixt the then mighty L.A. River and the Glendale railroad tracks. We sailed the river on our pirate raft, chased ducks, caught crawdaddies, played Huck Finn. We lived for the fourth of July. We bought firecrackers in Glendale and dodged cops in L.A. Across the river by foot bridge was our enchanted Griffith Park playground, God’s backyard. Boundless fun. Along came a freeway, away went our football field. Anyone for tennis? My brother the architect and I share a love of beautiful buildings—the Sunset Tower (now the St. James Club) is my favorite out thataway. Circa ‘60-‘61 I made a childhood fantasy come true. I moved right into that grand art deco tower on the Sunset Strip. I was a bachelor in paradise. The boulevard traffic? My fellow dwellers? The plumbing? Couldn’t hear ‘em. Had to open a window to hear the wind and rain. Ah! They don’t make ‘em like that no more. ‘Round then ol’ Sugarfoot was fixin’ to head for the last roundup, but not afore Warden Warner rounded up some of his stable at the Bar WB Honor Ranch and shipped us up to Seattle to help inaugurate a new affiliate station in the fledgling ABC-TV network. We inmates—er, stablemates—were ushered about the premises. Framed, enlarged photos of Jim Garner, Dorothy Provine and Clint Walker were on prominent display in the studio lobby. Jack Kelly, Pete Brown and John Russell lined the hallway. Wayde Preston and Connie Stevens graced the dining room wall. And there was my smiling face—in the men’s room! Way back then Warner Bros. westerns were the main course on ABC’s TV menu, and that night we had to sing for our supper at a big hoo-haw in front of fellow diners, live TV cameras and the New York suits. After downing cold chicken ‘n’ coffee we made friendly little welcoming talks. “No rehearsal necessary,” they said. “Just read your material on the teleprompter.” Una problema—I don’t exactly need glasses. Just a question of seeing. Cowboys don’t need no stinkin’ glasses. Think fast, Mr. Foot. You don’t want to make a spectacle of yourself. As flop sweat formed so did a wild idea. I was working on a “Sugarfoot” with a new director on the lot. Feller name of Robert Altman B.M. (Before “Mash-ville”). To break the ice he told me some Herb Shriner and Pat Buttram ‘aw shucks’ jokes. So I spun a tad o’ those knee slappers. “Howdy, folks! Hope I can remember a few jokes for y’all. I’m beginning to forget things—why yesterday I forgot the Alamo. You might know me. I’m a TV cowboy, and I ride Tall in the Saddle—blisters! I dropped a mirror—seven years bad luck. Hired a lawyer, he got me off with five. Gotta letter here from Ed McMahon—he writes, “Congratulations! You may have already won 10 million dollars!” Naw, I woulda remembered. We were so poor when I was a kid I only had one mump. Sure is hot up here—I’m dryer than a tree in a one-dog town. And so on. Would you believe? They all laffed! Louder than on all my sitcoms—longer than when my pants fell down during a grammar school play. Top O’ the world, Ma! Felt sure the New York suits would see the light and give me more funny stuff on my show. But that’s not the way of the world. They were too busy chatting up Dorothy Provine and Connie Stevens. Back then I chummed about with actor Rafael Campos of “Blackboard Jungle” fame. Met him across a Monopoly board in a highly competitive all-night game. He cheated. Took me for thousands. Took all my houses and hotels. Had me evicted from Baltic Avenue. I ended up in a cardboard Ivory Soap carton on Main Street. 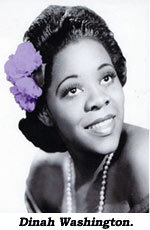 At the time he was the husband du jour of jazz chanteuse Dinah Washington. They invited me back to Chicago for the grand opening of their night club, Dinahland. A whole lot wilder than Dollywood. Opening night—fate plays funny tricks—Dinah suddenly found herself in hospital for an appendectomy. She asked me to go on in her stead. Not to worry. They loved me in Seattle. They’ll love me in Chicago. I’ll tell the same sidesplitters. To the “Sugarfoot” theme I ambled out on stage to knock ‘em dead. Whatta polite audience. They didn’t make a peep. Why, it was all they could do to keep from laffin’. Next night my name strangely disappeared from the marquee—Dinah miraculously appeared on stage and sang in a wheelchair. She wowed ‘em. And she gave me a second shot. She intro’d me right after the Hawaiian number. I knew just what to do. I’d be Mr. Sophisticate. A chorus girl had dropped a falsie—I picked it up, put it on my head and shouted, “Happy Hanukkah!” Bombs away! Next night Dinah teamed me with a very funny fellah, George Kirby, making a rare public appearance out of the slammer. Martin and Lewis, move over! We had ‘em rollin’ in the aisles. Whatta crap game! We improvised a western shoot-out. I beat him to the draw. He crumbled. I cradled him. I said, “Before you cash in your chips kid, is there anything you want me to tell your mammy back in Alabamy?” He jumped up, looked out at the audience, “My mammy back in Alabamy? !” He pretended to pull out a long knife and let me have it. I crumbled. The crowd roared—biggest laff I ever heard. Good ol’ George saved my bacon on one of the craziest and most fun weeks of my life. Never saw Dinah again. She died 12/14/63 at the age of 39, a mere sprig on the tree of life. Please join me as I toast the voice and soul of the great Dinah Washington. Dinah, you still wow ‘em. You were queen of your realm, and I was your court fool. You made me feel like a king. You’re aces in my book, an angel. I’ll always remember you.